World Translation Center provides professional Swahili translation services for English to Swahili and Swahili to English. We can also translate Swahili to and from over 150 other languages, including all the principal languages of Europe, Asia, South America, the Middle East and a number of African languages, at affordable rates. Our Swahili professionals have the ability to provide translation for any project you might have, including marketing materials, technical, financial, legal and medical documents, websites and software. Our experienced project managers will match your project with a translator team appropriate for the field of expertise required. Each individual linguist works solely in his or her own mother tongue and within his or her field of expertise guaranteeing not only quality translation, but proper localization at the same time. After each document is translated, it will be edited and proofread by an additional professional translator to ensure highest possible quality. We also provide transcription, video recording and subtitling services. Should you need to have an existing video dubbed, a commercial narrated or a telephone system recorded, our native Swahili speakers are available to furnish expert voiceover services. Swahili or Kiswahili (in Swahili it is called Kiswahili) is a Bantu language spoken along the east African coast from Somalia down to Mozambique. It is the official language of Kenya, Tanzania, Uganda, the Comoros Islands and the Democratic Republic of the Congo and spoken by approximately 5 million people as their first language. As a lingua franca (a �lingua franca�, also called a �working� or �bridge language�, is a language that ethnic groups speak that do not share a mother tongue) it is used by about 60 million people. The Swahili language and culture is a mixture developed between African and Asiatic people. It originated from Arabs and Persians who moved to the East African coast. 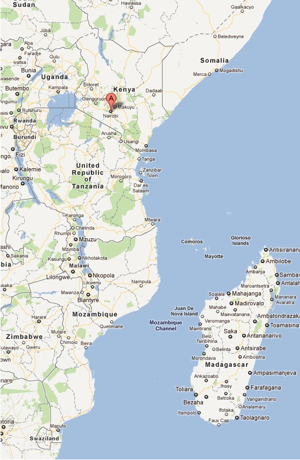 The word �Swahili� means �the coast� and was used by early Arab visitors to the east African coast. �Kiswahili� is the Swahili word for the Swahili language; it stems from �sawāḥil�, which is the plural of the Arabic word �sāḥil�, which means �coastal dwellers�. �Ki� is a prefix to nouns and means �language�, so Kiswahili then means �coastal language�. Swahili uses the Latin font.